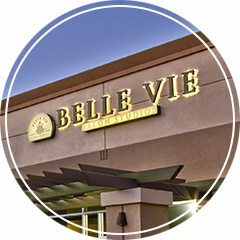 Belle Vie Salon Studios in the heart of Old Town Scottsdale leases premium salon suite studios to cosmetology professionals. Discover the top-end amenities included per suite: high speed internet, 24hr HD security, luxurious lobby and restroom and the Customer Cafe Lounge. There are no hidden fees and plenty of additional benefits! Our Scottsdale salon suites are located in the heart of the Downtown Scottsdale. 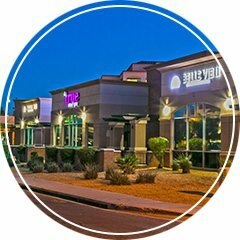 Right next door to The Hyatt, True Med Spa, Scottsdale Stadium and just blocks from Scottsdale Waterfront and Scottsdale Fashion Square. Our premium salon studio rental suites boast 24/7 hour keyless access to your suite and top of the line amenities. Plus tailor your suite’s decor to your business/brand and keep 100% of your own profit! 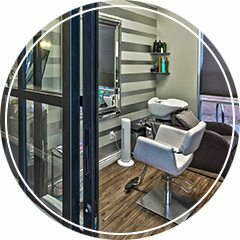 With your salon suite rental at Bella Vie Salon Studios you get to fully manage your own time, schedule, pricing and retail products — while keeping 100% of your own profits! Create a relaxing and custom environment for your clientele to make them feel at home, as each suite can either be move-in-ready/furnished or you can fully tailor the decor to your business, brand or taste. We take pride in leasing the best salon suites in downtown Scottsdale, Arizona. Join the Belle Vie Salon Studios community today and enjoy all the advantages of owning your own business! At Belle Vie Salon Studios and Belle Vie Salon Studios II, right next door. Check out our floor plans, amenities and pricing. The location is a prime location, here in the middle of Old Town. I’m a big fan of the salon studio setting, […because] you can set your own hours but still have the big salon vibe. It’s nice to have other business owners in here, we all offer a different variety of things. They provide a nice lobby area for clients to wait in, we also have a kitchen area with a nice couch. There is a TV, they provide refreshments and wi-fi…they have all the conveniences that we need. Anyone looking to build your own business, I would highly recommend Belle Vie Salon Studios. Copyright © 2017 Belle Vie Salon Suites | All Rights Reserved.